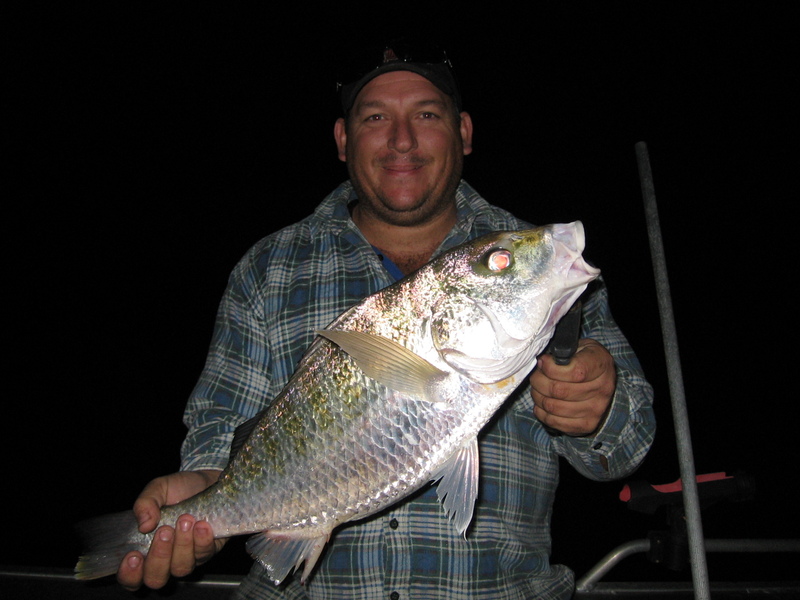 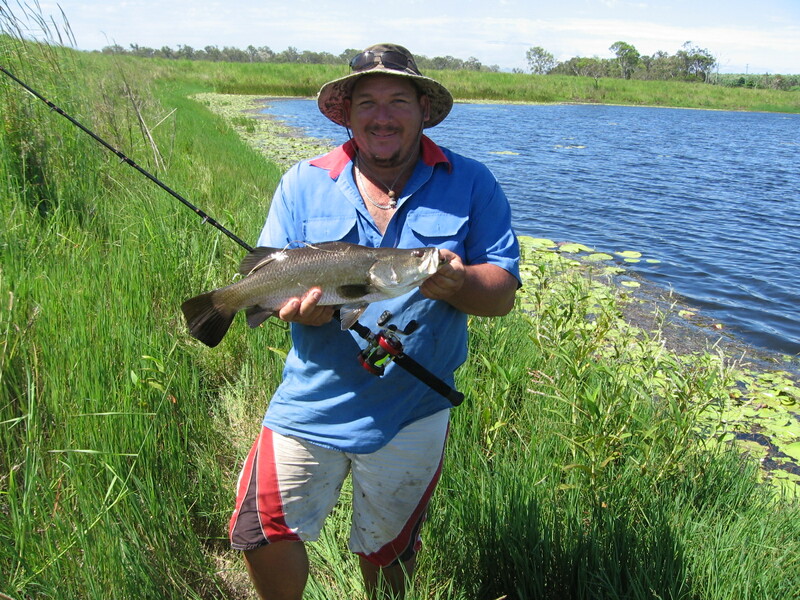 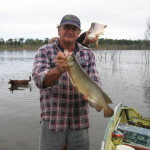 Queensland is our home state and has a lot to offer the angler as there are miles of beaches for beach fishing, plenty of rivers running to the sea for the estuary fisherman and a whole stack of inland rivers for the freshwater fisherman. 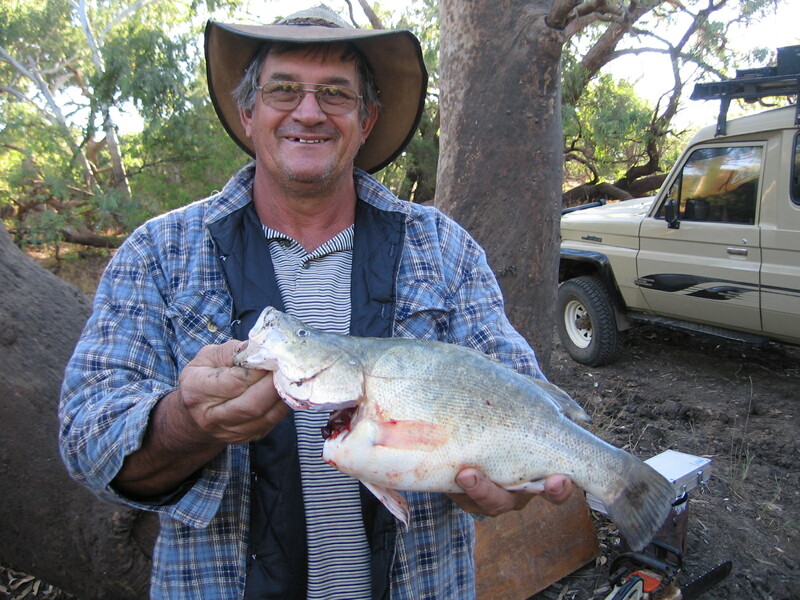 But don’t forget the dams (63 last count) that have been stocked with all sorts of fish such as barramundi, yellowbelly, silver perch, bass, saratoga to name a few, but you will need a fishing permit to fish these dams. 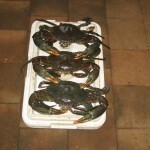 Most of Queenslands dams and the inland rivers have a healthy supply of the much targeted Red Claw. 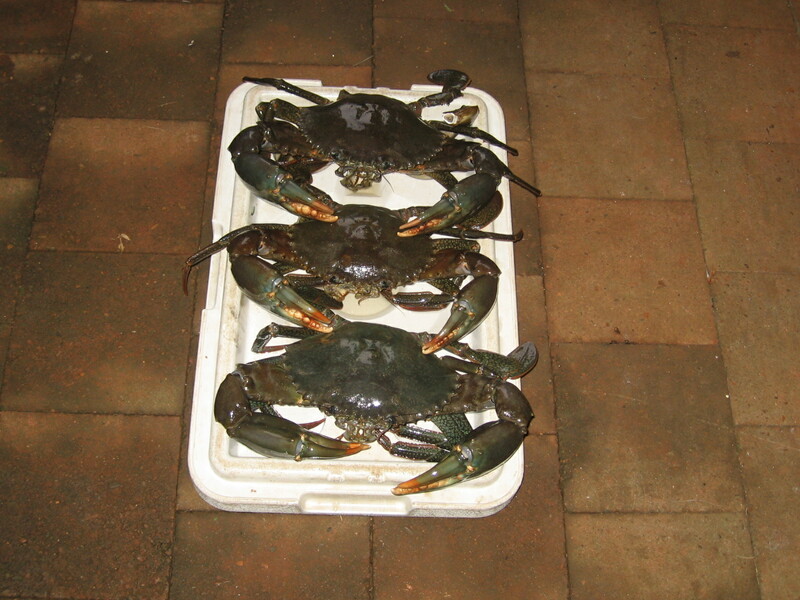 When you get out west in the Channel Country there are some good Blue Claw to be had, although they are in decline as they are being given a hard time from the Red Claw which are introduced and not native to this river system. 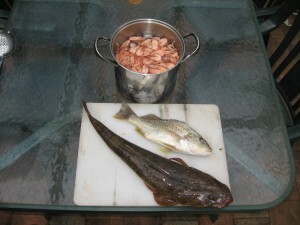 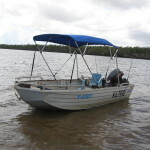 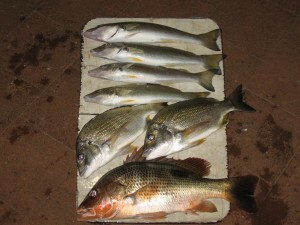 Here is a collection of some of our fishing trips. 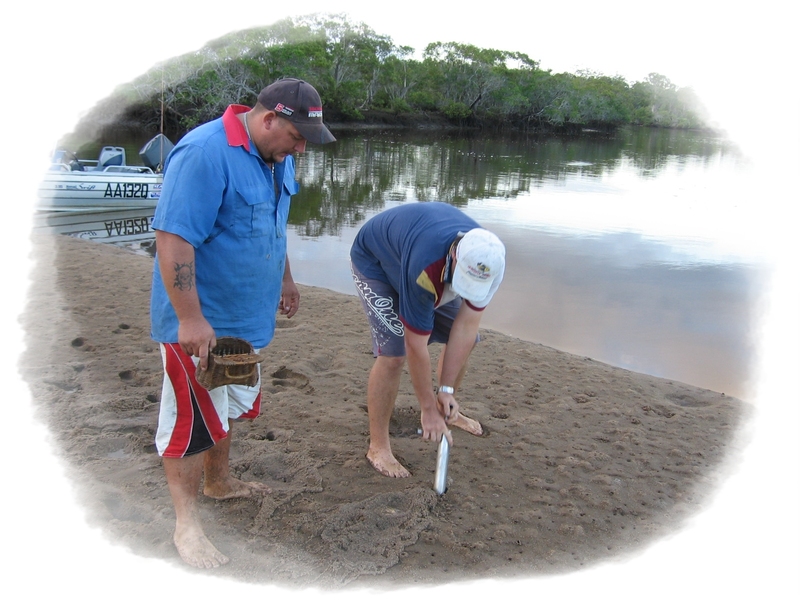 The bundaberg area has 3 rivers within a half hours drive from our home, The Burnett River, Elliot River and the Kolan River. 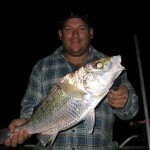 This gives us a fair chance of getting a feed close to home. 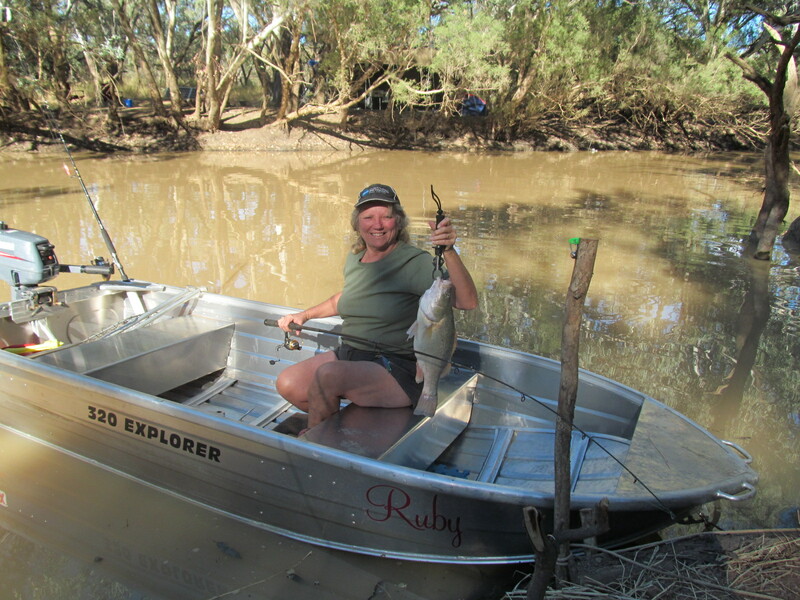 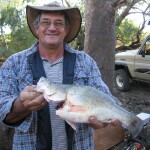 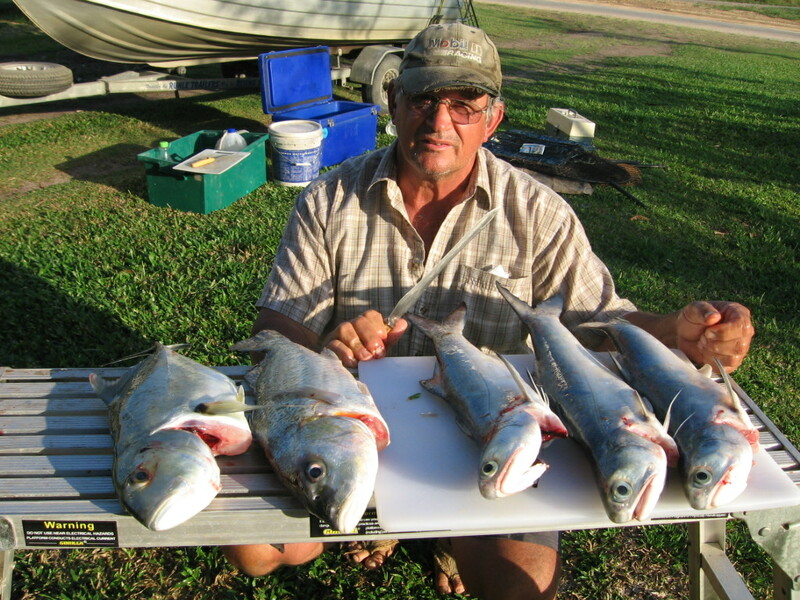 The Elliot River is a favourite as you can always get a feed of fish and it is a top spot to get a kilo or two of prawns. 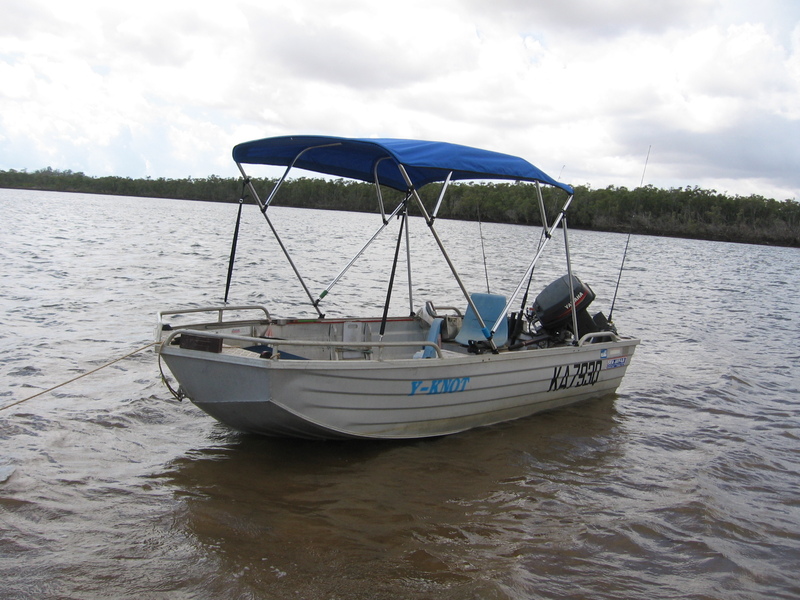 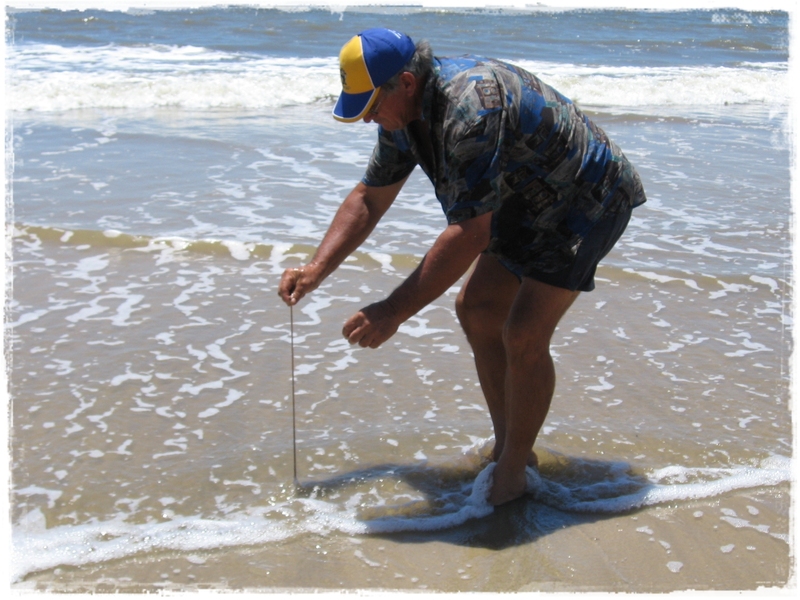 It’s a shallow place with a lot of sand bars and can be hard to navigate on low tide. 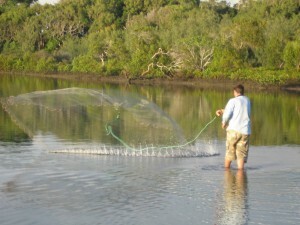 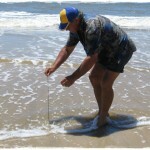 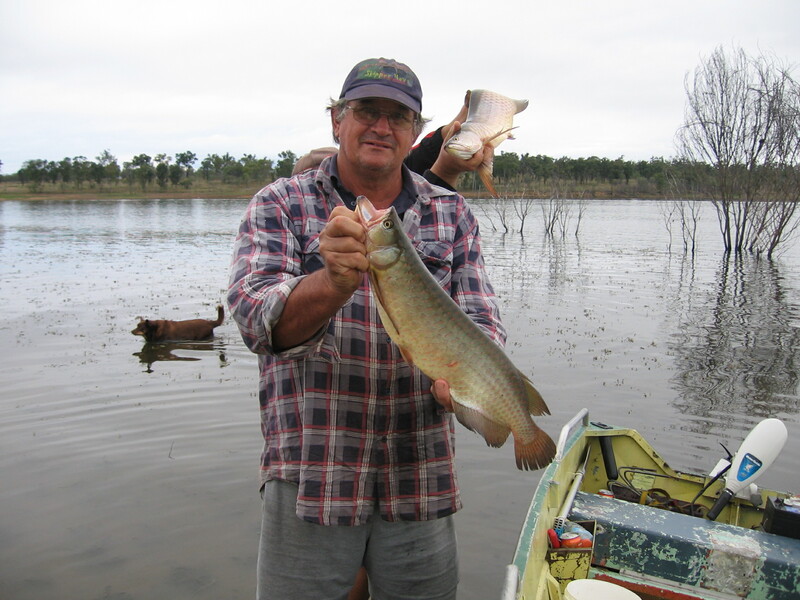 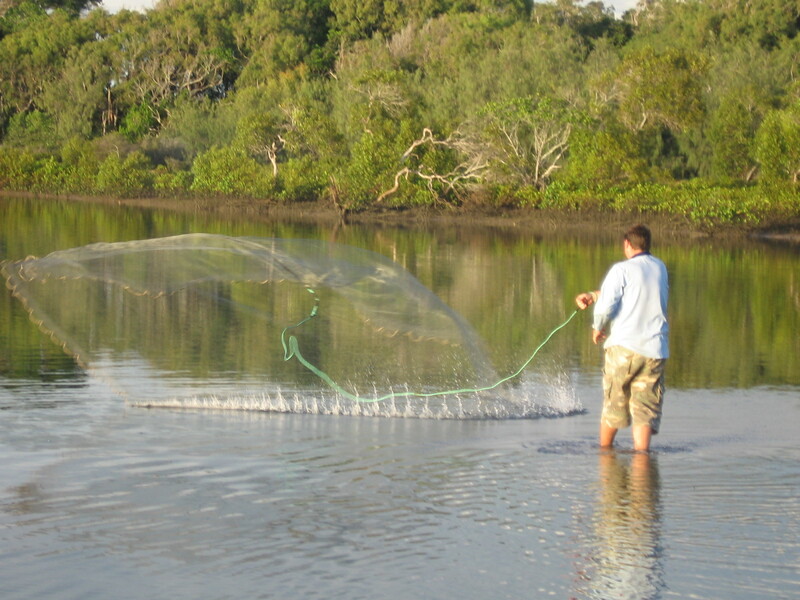 Bait is plentiful, yabbies or live bait caught in the cast net works well. 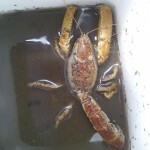 There is also a good chance of a feed of mud crab in all our rivers. 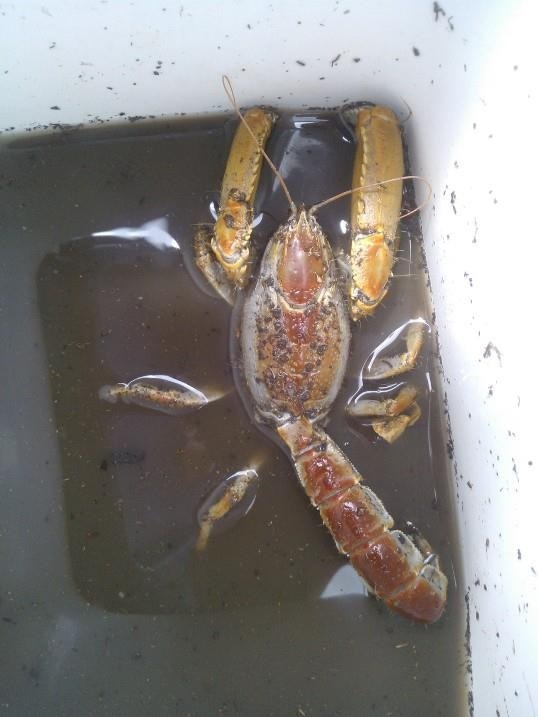 Something different and rarely seen, a Mud Lobster caught by a mate in the Elliot river. 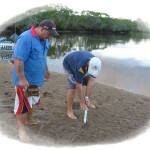 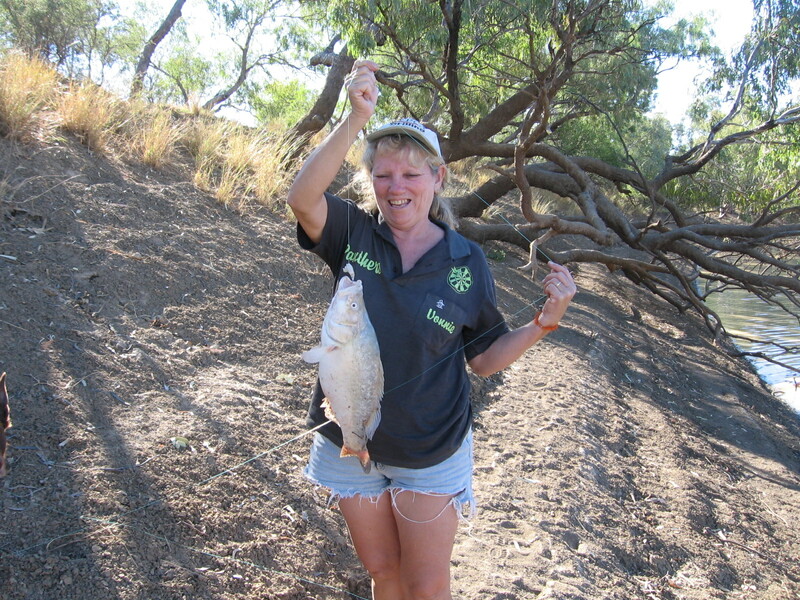 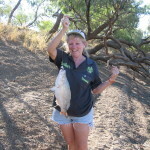 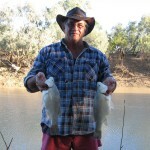 We love to fish the freshwater, either from our tinnie or from the bank. 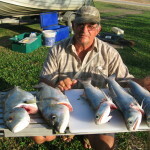 There is nothing better then sitting under a shady tree with a line in the water and a beer in your hand and let these freshies catch them selves. 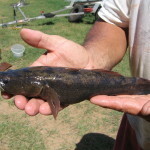 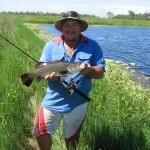 Bait for freshwater fishing varies but it is hard to beat the old shrimp. 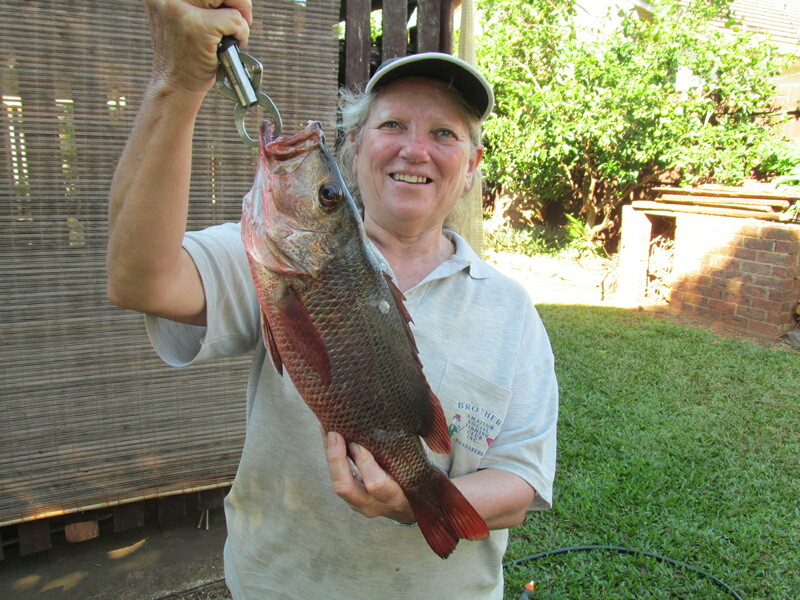 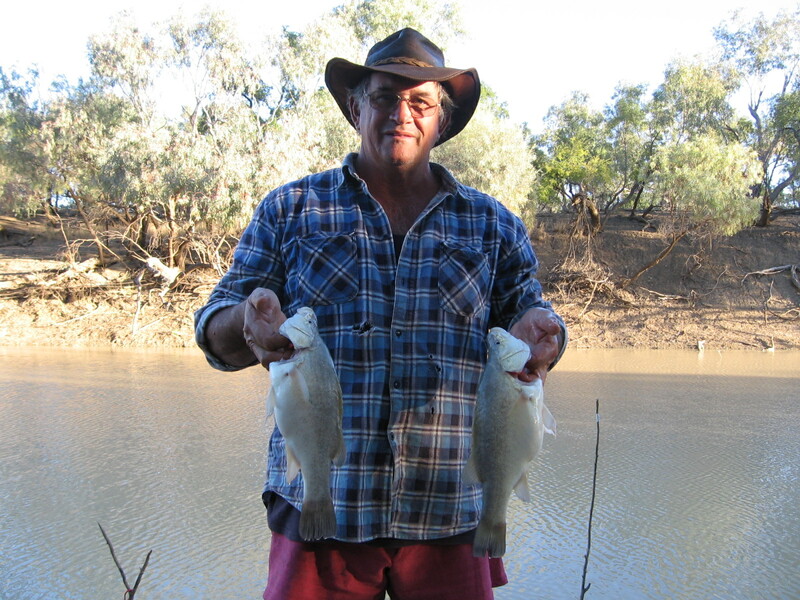 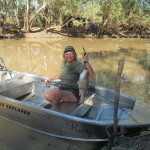 Pan size yellowbelly from Longreach Qld. 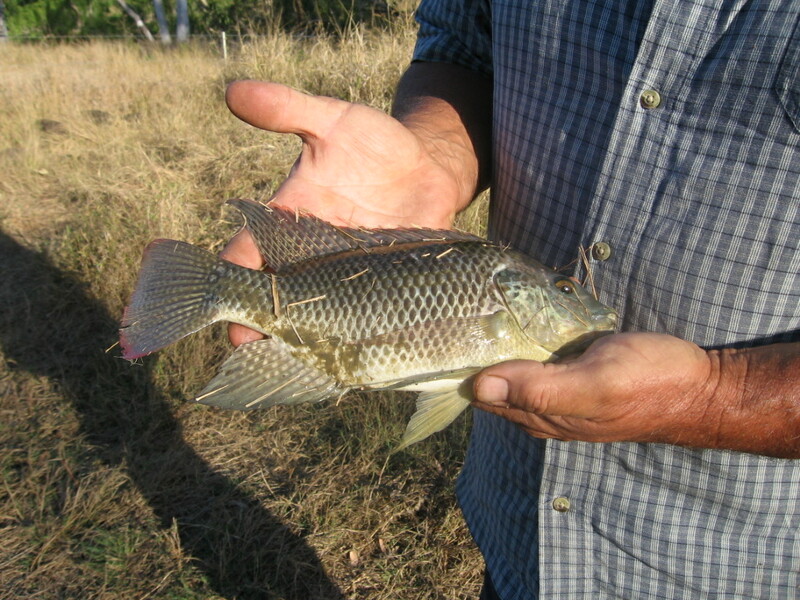 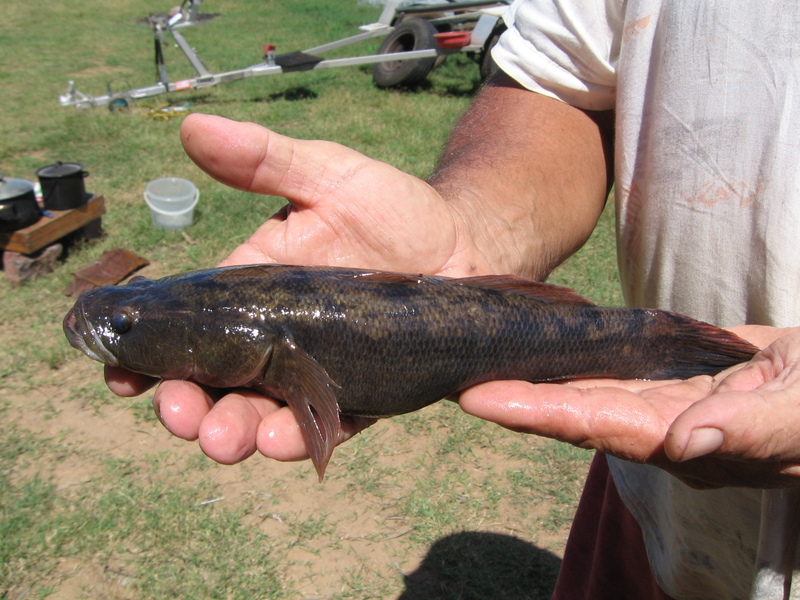 Tiliapia (Fletchers Creek in North Qld.) 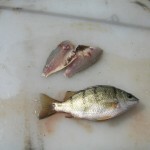 These are noxious fish and must be destroyed, One of the best ways to destroy them is to eat them.but don’t release any. 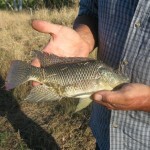 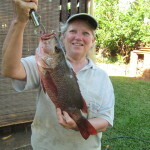 Barramundi from a private dam near Bundaberg Qld. 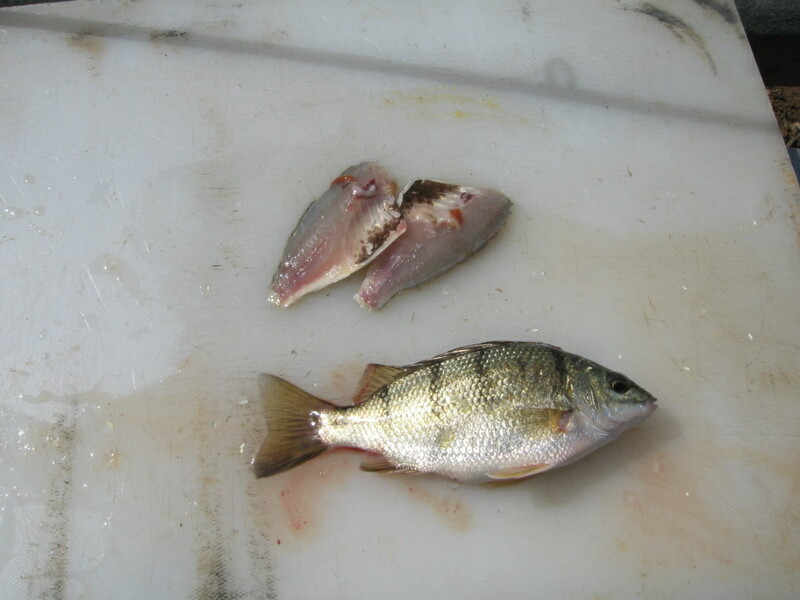 Note the yellowbelly below has been bled, we like to bleed all our fish as it adds to the flavour of the cooked fillet, especially the dark meat varieties such as mackerel and tailor for example.